Section of fence to be built will separate old Route 60 linking Jilazon refugee camp to Ramallah, and some Beit El western neighborhoods. The Defense Ministry decided to allocate NIS 5.5 million to complete the security fence in the western part of Beit El. The section of the fence that will be built will separate the old Route 60, which links the Jilazon refugee camp to the city of Ramallah, and some of the western neighborhoods in Beit El. In the past year, Arabs have carried out a long series of murder attacks, including placing explosive charges, shooting, firebombing, and more. 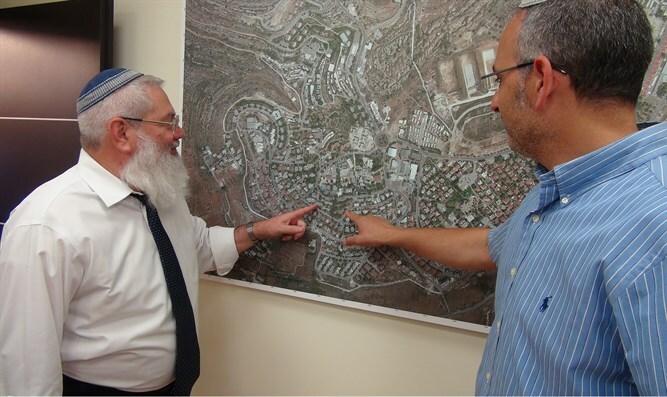 Deputy Defense Minister Rabbi Eli Ben Dahan said of the decision, "At the request of the Defense Minister, we are promoting the construction of the fence in Beit El. "We will continue to strengthen security in Judea and Samaria for the residents," added the Deputy Minister. "Preventing shooting at houses in the settlement is saving lives." Only a week and a half ago shots were fired from a passing vehicle at an IDF post located in the western part of Beit El, and that same night the shooters were arrested.